If you’d like a list of available dates for James Duffy , please submit a request below. James E. Duffy, Jr. served as an Associate Justice of the Hawaii Supreme Court from 2003 – 2012. Justice Duffy received the National Center for State Courts (NCSC) Distinguished Service Award, one of the highest awards presented by the NCSC for his leadership of the Hawaii Supreme Court’s Commission on Professionalism and his contributions to the legal profession, the justice system, and the people of Hawaii. 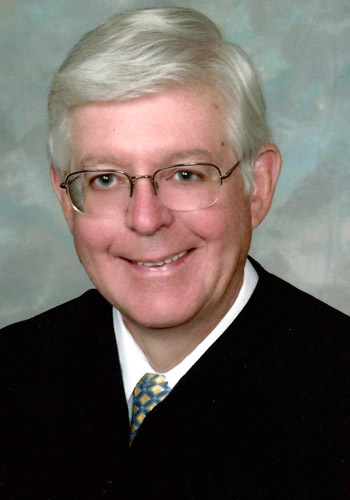 Justice Duffy is a graduate of the College of St. Thomas and Marquette University Law School (1968) where he was a member of the Board of Editors of the Marquette Law Review. Justice Duffy is a past President of the Hawaii State Bar Association and is a member of the American College of Trial Lawyers, and the American Board of Trial Advocates. Justice Duffy has received Life-time Achievement Awards from the following organizations: (1) the Hawaii State Bar Association; (2) the Consumer Lawyers of Hawaii; (3) the Law Enforcement/Security Association; and (4) Saint Francis School. Justice Duffy has also received the John S. Edmunds Award for Civility and Vigorous Advocacy, and the C. Frederick Schutte Award for outstanding contribution to the legal community and the profession.